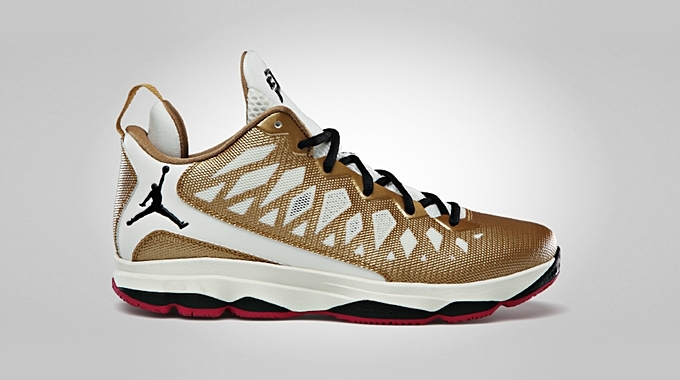 Aside from the vivid pink edition of Chris Paul sixth signature shoe with Jordan Brand, another stunning version is set to hit the market this January 2013. The Jordan CP3.VI will come out in Metallic Gold/Black – Slate – Sport Fuchsia colorway, which definitely looks good despite the fact that its relation to Chris Paul is a mystery because it is way too far from the Los Angeles Clippers’ team color. The kick has a white base dressed with metallic gold accents enhanced with black touches on the lacing and Jumpman branding and Fuchsia outsole. This will hit the market anytime from now so make sure to watch out for it!